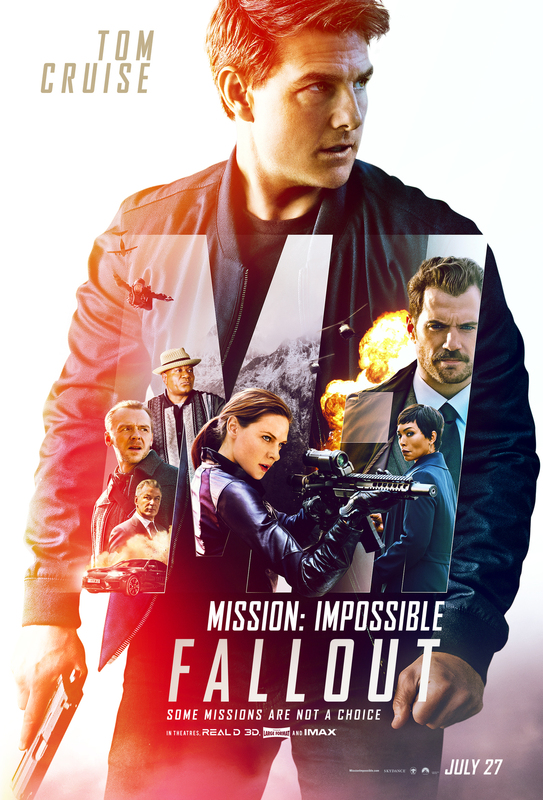 There aren’t many franchises delivering what Mission Impossible does with each (recent) instalment; a clever, action-packed blockbuster movie. 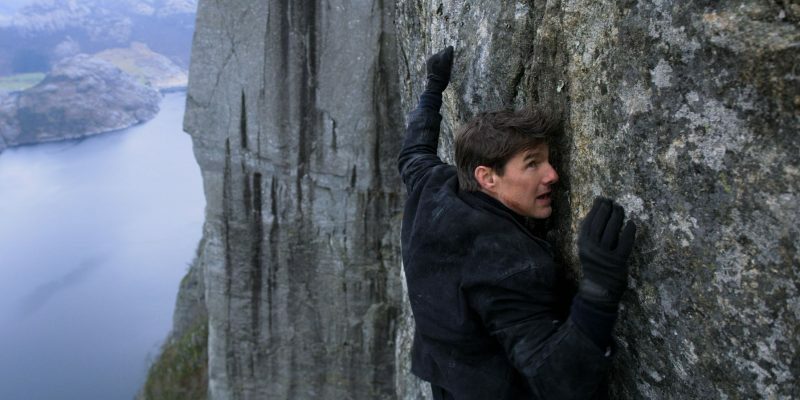 Where most franchises start to get tired after 4 or 5, Mission Impossible seems to carry on with little regard for what is expected and finds fresh ways to throw Tom Cruise into death-defying situations. Which is where this franchise has made it’s mark. Cruise is still at the centre of the proceedings and rightfully so. He is the MVP of the series and continues unrelenting. In this film alone he dangles off cliffs, get thrown from motorbikes, crashes cars and helicopters and gets beaten-up on numerous occasions. You also know, being that it is Tom Cruise, that he is in the thick of it himself (a broken ankle during one stunt is testament to that). That list of action sequences doesn’t do Fallout justice. The set-pieces don’t seem to give-up. The action is fantastic and some of the best Mission Impossible has to offer. Instead of giving us one key set-piece to hold the movie around (like dangling from a flying plane or sticking to the outside of a skyscraper), Fallout gives us key set-pieces which make up the whole. There are car chases which feel realistic and high-speed, shoot-outs and brawls which feel as violent as ever and a finale which doesn’t seem to end and just keeps ramping up the tension. That isn’t to say Fallout is all action and no story. Like in many other Mission Impossible movie, Fallout has a plot with many a twist and a turn. There are people you can trust, people you can’t trust, people you thought you could trust but can’t and people you thought couldn’t be trusted but now can. To map it out would be complicated but it is a credit to the movie that you never feel lost as people begin to cross-sides, double-cross each other and the killing starts. Mission Impossible actually feels like a “proper” spy movie without having to go too dark or be too self-referential, the balance is set just right. As is the build of story along the series. From Mission: Impossible 3 there has been a clear thread through the movies and Fallout is no different. You don’t have to have seen the others to understand this movie but there are rewards for loyal fans to the franchise and pay-offs for past stories and past characters. This is also the other positive as the cast is growing and developing. Cruise is the necessary stalwart but Simon Pegg is becoming that too, with a good balance of tech-geek and comic relief (although he gets plenty of action too), Ving Rhames returns again, clocking-in regularly since Mission: Impossible 2 and even Rebecca Ferguson finds a way to return to the MI team albeit in mysterious but satisfying circumstances. The unusual return is Sean Harris from Rogue Nation. Harris is a great bad guy and just manages to balance villain and free-thinker perfectly. He is never evil for the sake of evil and it helps that he has a face which is as menacing as it is punch-able. Although not quite as punch-able as Henry Cavill who is the new addition to the team, an action rival for Cruise who sports one of the worst ‘taches in recent movie history. This link to the past doesn’t just stop at the cast though. Fallout’s fault is that is doesn’t do anything too fresh with the franchise. If you have seen the past two or three Mission Impossible movies, you have seen Fallout. The action is well-staged, the story well-told but that isn’t new to Mission Impossible. If you love the series though, you’re guaranteed to love this one. Overall, Mission: Impossible Fallout is another assured entry to the franchise which is no where it’s end. It develops the action, has a concrete and intriguing story and with Cruise at the centre, a compelling hero. It offers little that is new but at this point, that isn’t really what it should be doing.